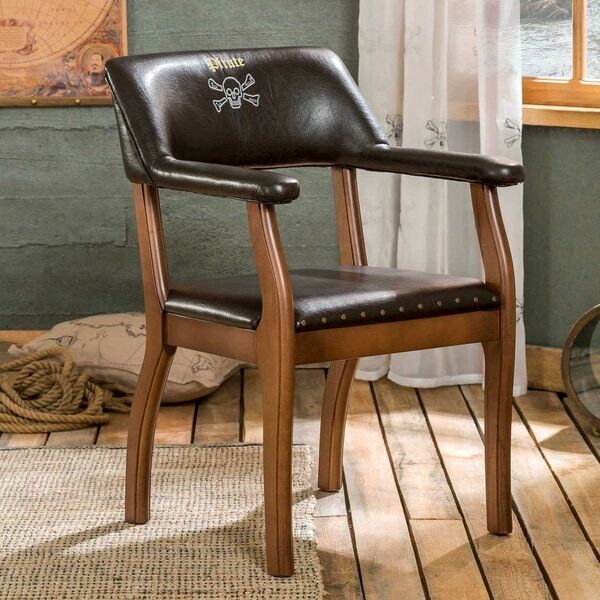 Cilek Pirate Brown Leatherette Chair is the perfect companion for the Pirate desks. Wooden legs with faux-leather upholstery. 17" seat depth. 20" seat back height. Product Dimensions: 20'' x 21.5'' x 33'' H. Faux Leather (100% polyester) upholstery with wooden legs. CPSIA/ CPSC/ PROP65 Compliant. Made in Turkey. Dimensions 21.5 In. X 20.0 In. X 33.0 In.